The fourth installment of Treyarch’s Black Ops series and newest game in the Call of Duty series, Call of Duty: Black Ops 4 ditches a single-player campaign but delivers entertainment in many other ways. Treyarch decided to take a chance with Black Ops 4 by fully focusing on the multiplayer aspect, and it seems like it has paid off. For $60 (if you opt for the standard edition), you get the usual arena style multiplayer that Call of Duty fans have grown to love and hate over that last few years, a Battle Royale style multiplayer, and the biggest Zombies offering to date with three distinct experiences at launch. Call of Duty: Black Ops 4 is able to find a perfect middle ground between the classic “boots on the ground experience” of old and the new “Jetpack” era. Although Black Ops 4 does not include jetpacks or a double jumping mechanic, it still plays faster than last year’s Call of Duty: WW2. This is due to its slide mechanic and specialist abilities such as a grappling gun. I believe Call of Duty: Black Ops 4 is perfectly positioned in terms of gameplay pace. Specialists are making a return from Black Ops 3. There are a total of 10 specialists in Black Ops 4 and each specialist has a unique ability or weapon and a special equipment. Each specialist suits a different playstyle, giving you the option to play offensively, defensively or even play a support role to help your teammates. A big difference from Black Ops 3 is the addition of support-based specialists, such as crash, who can both heal and boost the health of teammates. Black Ops 4 is still very much a Call of Duty game, a player still has to rely on good aim, good movement, and quick reflexes to be successful, yet these specialist classes allow players to be more creative with strategies and think more tactically. You are able to switch between specialists during a match, but only one of each specialist type is allowed during a regular game of 5v5, or two of each in 6v6 Chaos modes. The health system has also seen a change this time around. Instead of regenerating health automatically when out of combat, the player is responsible for manually healing himself. Each player can heal themselves every 12 seconds unlimitedly. This pushes players to decide where and when to heal, which requires higher situational awareness. Blackout, the battle royale mode in Black Ops 4 really steals the show here. Blackout is a first person battle royal mode instead of the typical third person we see with most battle royale games. Blackout easily outclasses PUBG, its closest competitor as far as gameplay style. Blackout is extremely well polished, with the great movement and gun mechanics from the regular Black Ops 4 multiplayer. The map is well balanced, containing plenty of distinct zone, each with their own name. 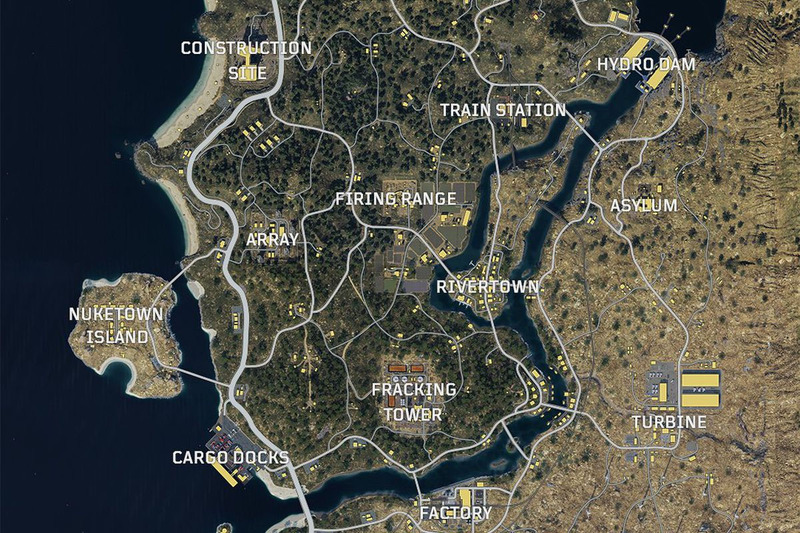 These areas are also inspired from previous Black Ops games, so if you have played previous games they will look familiar to you. Some of these locations will even have zombies waiting for you! The diversity of loot found at these locations feels very balanced, although weapon attachments are still in short supply early in the game. Picking up ammo can take longer than it should and looting dead bodies also take quite a long time, especially on console since you must cycle through all the items with the bumper buttons. The pacing in Blackout is great especially in duos and squads. In most battle royale games, the early game is very hectic while everyone is looking for loot, but the mid game is often stagnant as everybody is just slowly moving to the new zones. Blackout does a good job at preventing a slow and stagnant mid game by providing players with plenty of agile vehicles that include, ATVs, boats, trucks, and even helicopters. Game sound like gun shots and footsteps are also relatively loud which leads players to follow those gun shots and look for fights instead of quietly moving towards the new zone. Overall, Blackout offers a great battle royale experience that most avid Call of Duty fans as well as battle royale fans will certainly enjoy. This is by far the biggest zombies offering ever delivered at a Call of Duty launch. There are 3 maps available to all players, and a fourth map that is available to players that purchased the Black Ops pass. The stories that take place within these maps provide a great experience to both veteran zombie players and newcomers alike. IX one of the zombies experiences, puts 4 players in an ancient roman coliseum like arena filled with exotic animals and zombie “champions”. The IX map layout is quite simple, which proves to be a great experience to newcomers to the zombies game type. “Voyage of Despair” is a zombies experience that takes place on the famous titanic, featuring a narrative revolving around how zombies were ultimately responsible for the Titanic’s sinking. The third experience is called “Blood of the Dead”, which sees a return of the original zombies cast from the previous games for a new chapter. Treyarch did add and change a few things this time around. The addition of a longer tutorial at the start of the zombies mode is a welcomed change. It provides a relatively robust walkthrough when compared to previous games. It does a good job at explaining both the basics and more advanced aspects of zombies and is definitely worth a look at by both newcomers and veterans. One change that has not been welcomed by zombies fans is the removal of the traditional perk system from previous Black Ops games. Well known perks such as, Juggernog, Speed Cola, Double Tap and others have been replaced by new perks. Players can now select the specific perks they want to spawn throughout the game as well as elixirs and special abilities. A beefy special weapon can also be selected and built up throughout the game, which provides devastating effects. All these features give the new zombies experience an RPG-like feel. 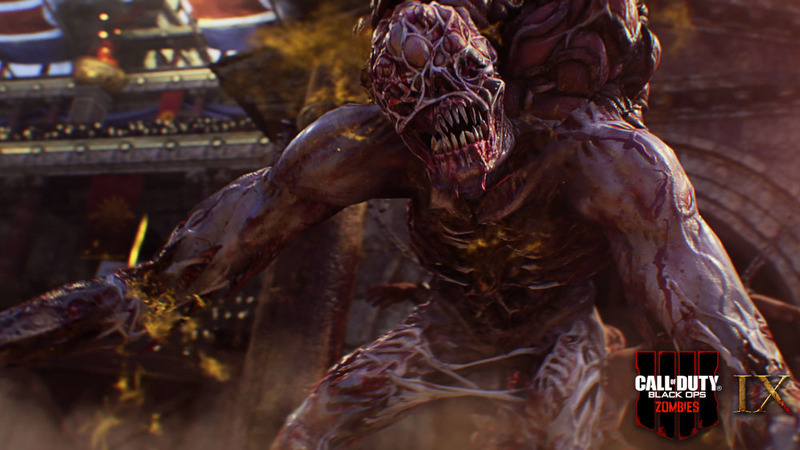 The Black Ops 4 zombies mode feels like a well-designed culmination of many years of zombies development by Treyarch. The addition of a robust tutorial mode, great and diverse narratives, and a wealth of customization options allows for a great zombies experience and in my opinion the best yet! Although it may be disappointing that a campaign mode was not present in Call of Duty: Black Ops 4, I believe it was for the best. The competitive multiplayer and zombies mode are as good as they have ever been, if not better! While Blackout has been a complete success. The battle royale mode delivers an experience that can certainly compete with the juggernauts of the genre such as PUBG and Fortnite. It will be interesting to see how the Blackout competitive scene develops over the year. Overall, this game is highly recommended to both Call of Duty veterans and newcomers to the series.